Students who want to make a difference in the lives of children and families, are creative and organized, enjoy working with children, and possess strong communication skills should explore exciting training and career opportunities in early childhood education! The Early Childhood Education program is a two (2) year program that prepares students to enter the workforce upon graduation in a variety of settings and/or continue training through post-secondary education. Students learn about child development, nutrition, safety and dealing with emergencies, caring for children (infants, toddlers, preschoolers, and others with special needs), planning experiences for learning, and creating a good learning environment. Students are provided with hands-on experience working in preschool classrooms. 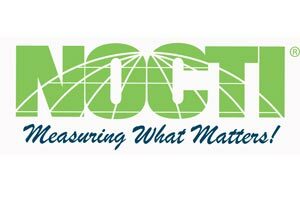 Participation in the program enables students to earn the NOCTI credential (National Occupational Competency Testing Institute) which demonstrates students understanding of concepts and knowledge needed to succeed in the area of Early Childhood Education. Additionally, students are eligible to earn 16 credit hours of dual-credit toward an Associate’s degree at Paul D. Camp.